This class is being held in partnership with Ingebretsen’s Nordic Marketplace! To register, please call their main store at 612-729-9333 and reserve your spot with a credit card. If you have questions, please email classes@ingebretsens.com. Just because it’s the dead of winter doesn’t mean you have to stop foraging! Evergreens are easy to spot amongst the otherwise grey landscape, and they have a long history of treating coughs and colds, and supplying much-needed vitamins A and C during the winter. They have been used by Nordic cooks to brighten flavors and have caught the attention of New Nordic Cuisine chefs for new, experimental foods. This class will focus on traditional uses as you make make pine-infused vinegar, pine switchel, hot tea, juniper salt and a bit of juniper butter to spread on tasty slices of rye bread. 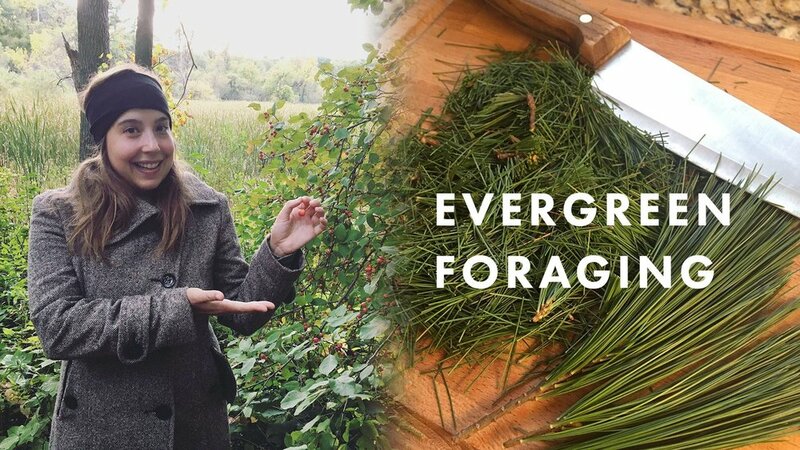 Join Maria Wesserle, founder of Four Season Foraging to learn which evergreens to harvest and which to avoid. Together, you will go over identification of different evergreen species, and foraging etiquette. This class meets at Norway House, 913 E. Franklin Avenue, Minneapolis.